Notes: Opening for Bon Jovi. 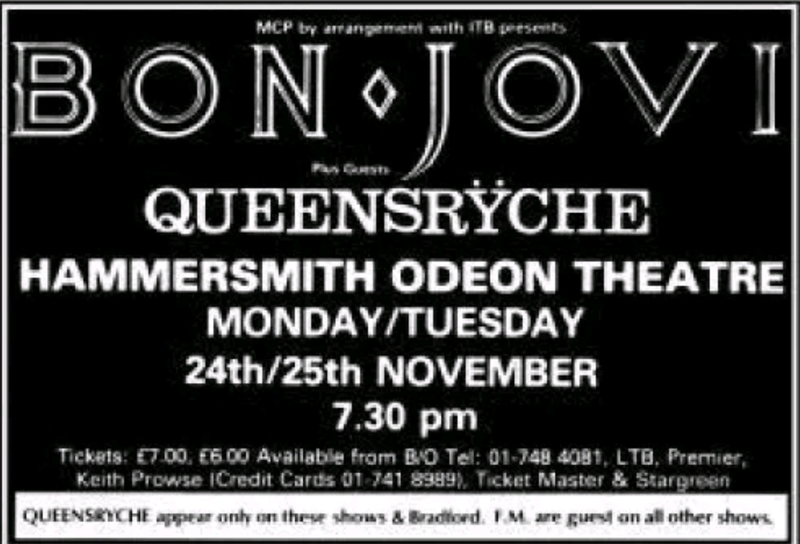 The band began this stint of opening dates in early November, but they didn't open for Bon Jovi for every show. It is unknown which early November dates they played.